The Bank of Montreal was located in Barrack Block 20 on our station diagram, in the leg furthest from building #32 which housed the Ad Astra Theatre. 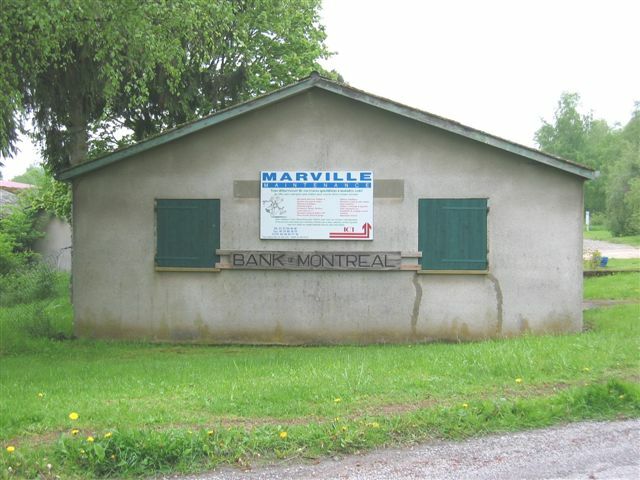 The following personnel were employed at the Bank of Montreal located at Marville France. We would appreciate your input with additional detail..
Photo of the building which served as the Bank of Montreal - 29 May 2004. 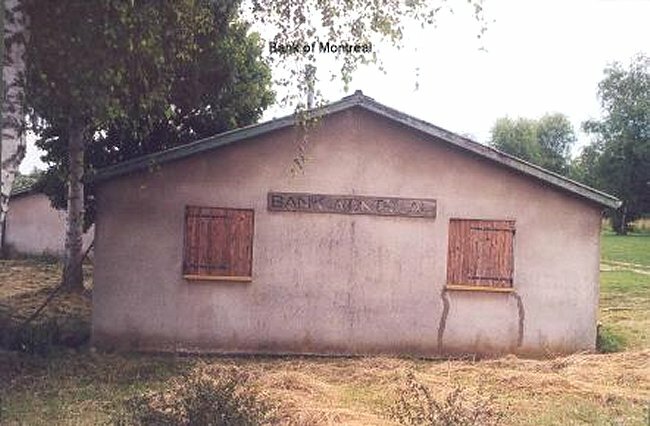 Note that the original "Bank of Montreal" sign has been replaced on the building. 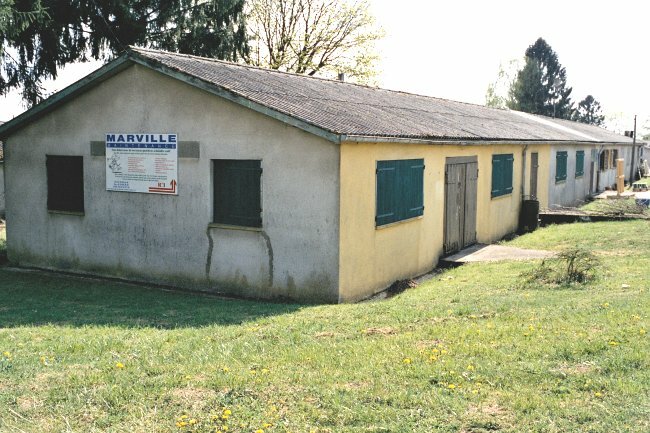 Photo of the building which served as the Bank of Montreal - May 2004. 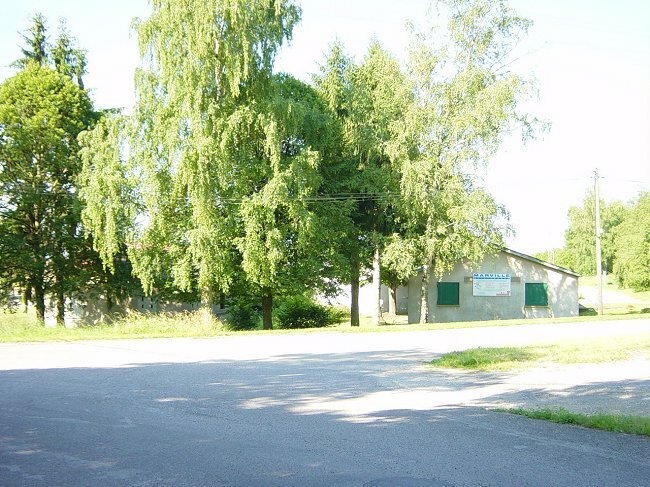 Distant photo of the location which served as the Bank of Montreal - 21 June 2003. 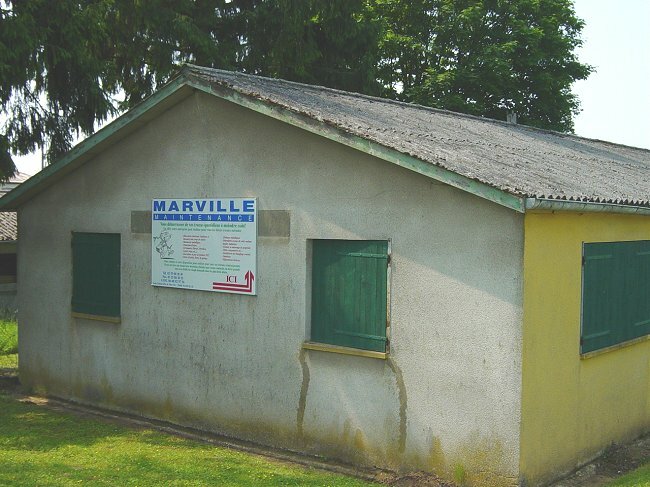 Note that the original sign has been removed and covered with a current day sign which reads "Marville Maintenance". 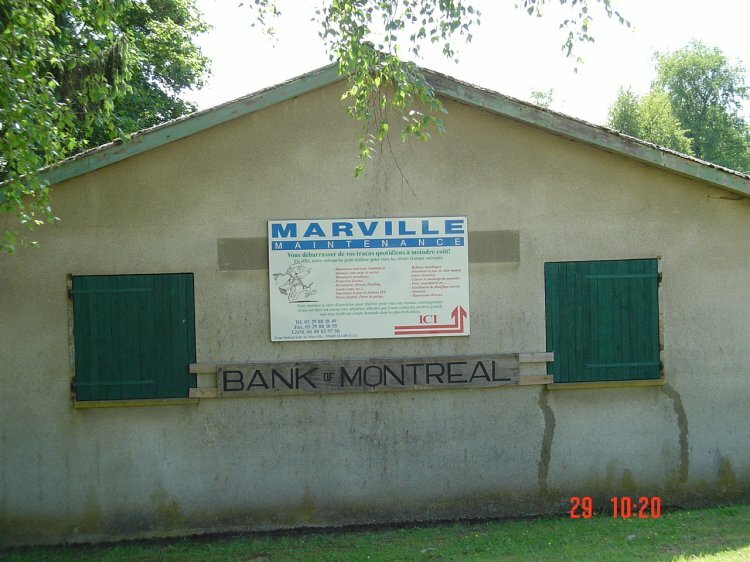 Trees shelter the building which once housed the Bank of Montrel - 21 June 2003. 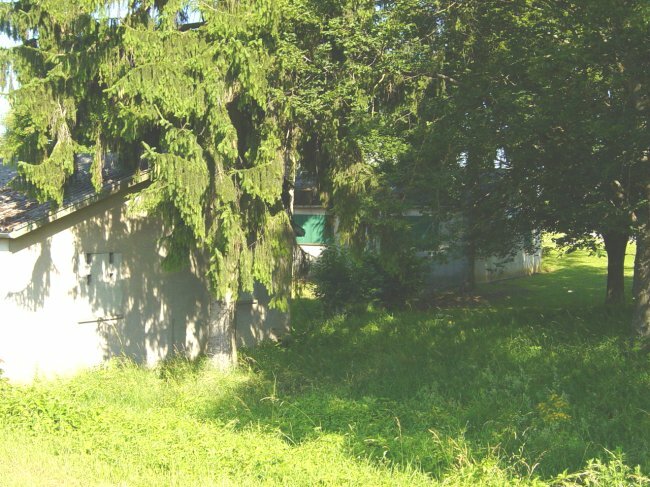 Remains of the "Bank of Montreal" - 1 June 2003. 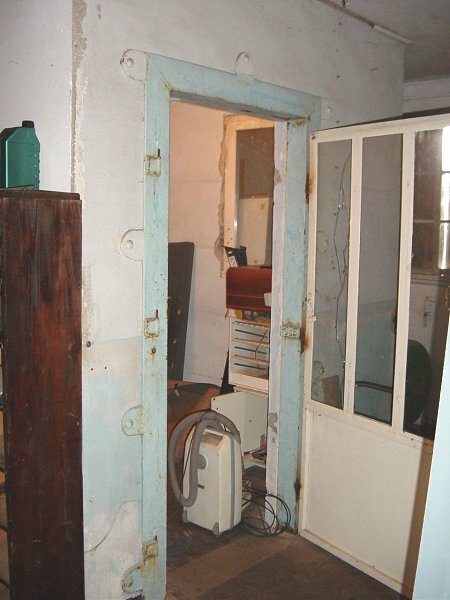 Remains of the original vault in the "Bank of Montreal" - 1 June 2003. 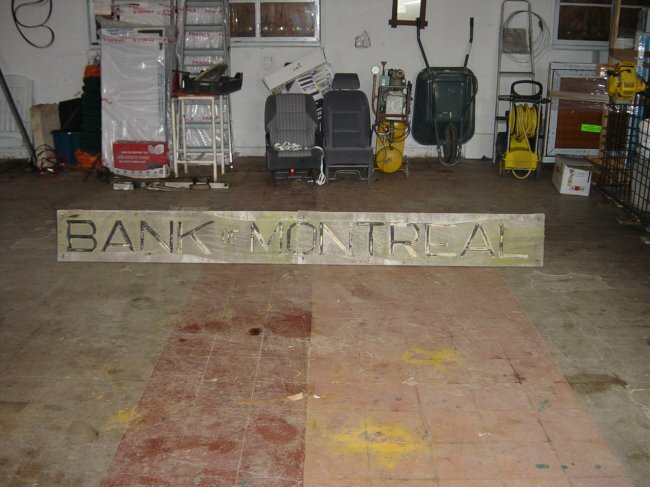 Remains of the original "Bank of Montreal" sign - 1 June 2003. The Bank of Montreal building is now being used as a maintenance workshop. I was advised that the original sign was rotting and the owner thought the sign was of some significance - so he removed it and stored the sign right in the original building. Somewhat fitting considering that this is 36 years later. Bank of Montreal (left) as seen from the parking area - April 2003. End view of the Bank of Montreal building - April 2003. 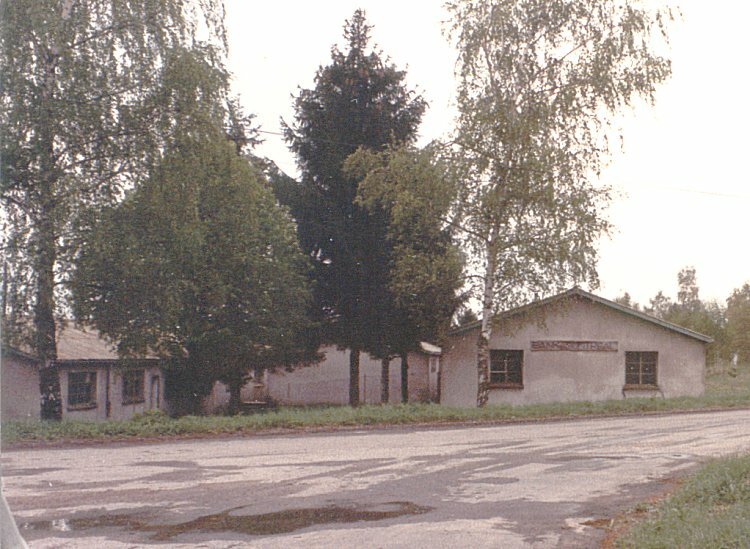 Remains of the "Bank of Montreal" - May 1999. 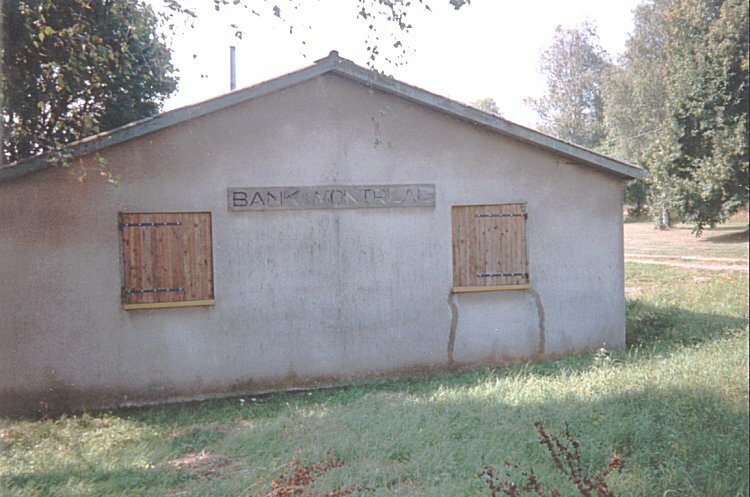 Remains of the "Bank of Montreal" - September 1998. 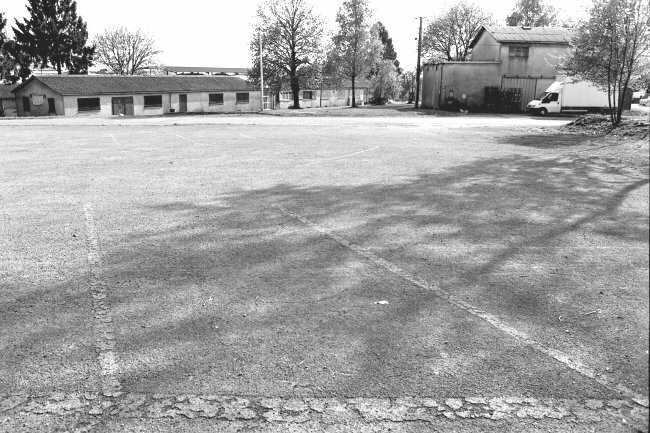 Remains of the "Bank of Montreal" - May 1989. 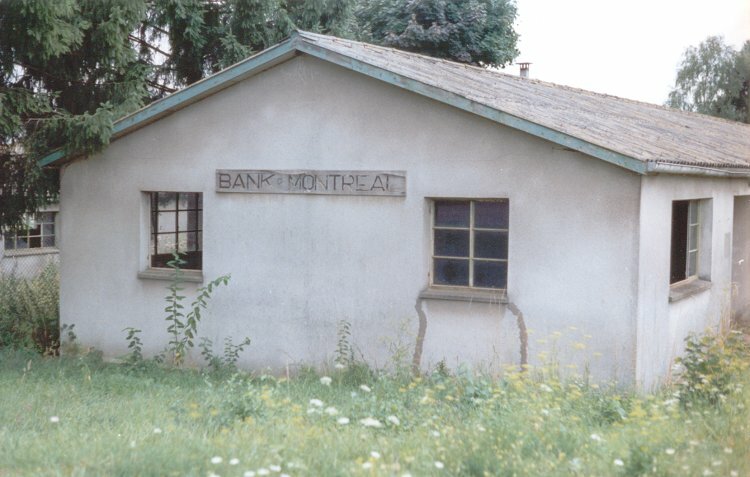 Remains of the "Bank of Montreal" - May 1984. 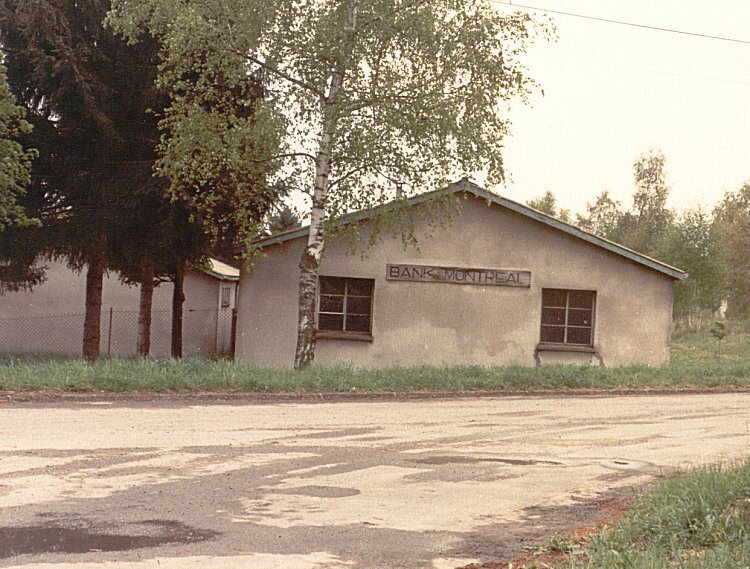 Closer view of the building that once served as the "Bank of Montreal" - May 1984. 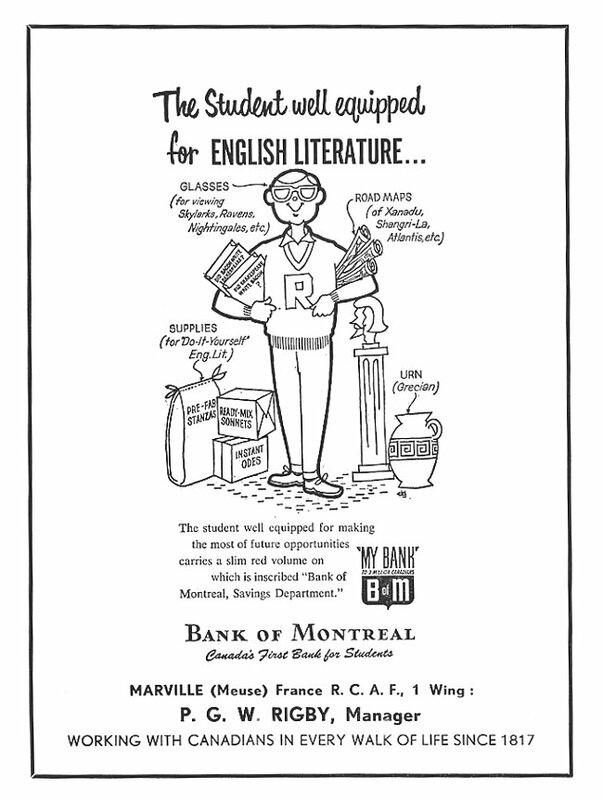 Bank of Montreal Advertisement in High School yearbook - June 1964. 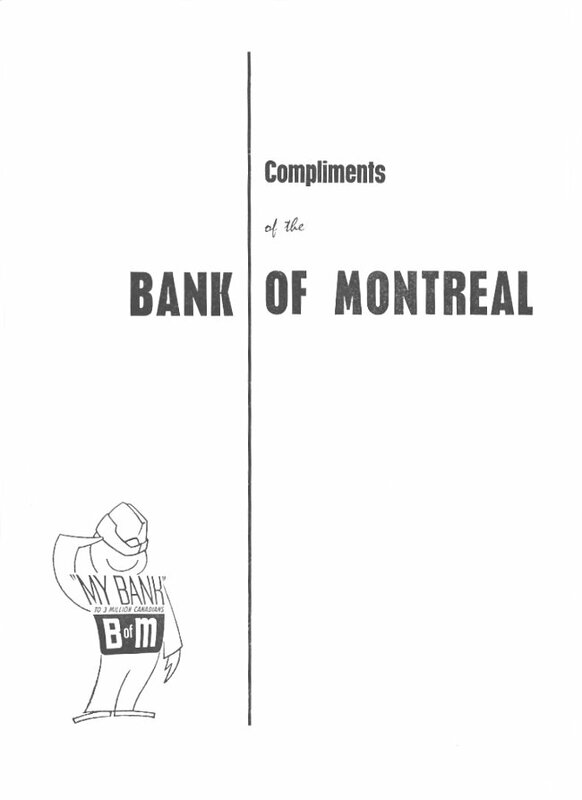 Bank of Montreal advertisement in High School yearbook - June 1963. 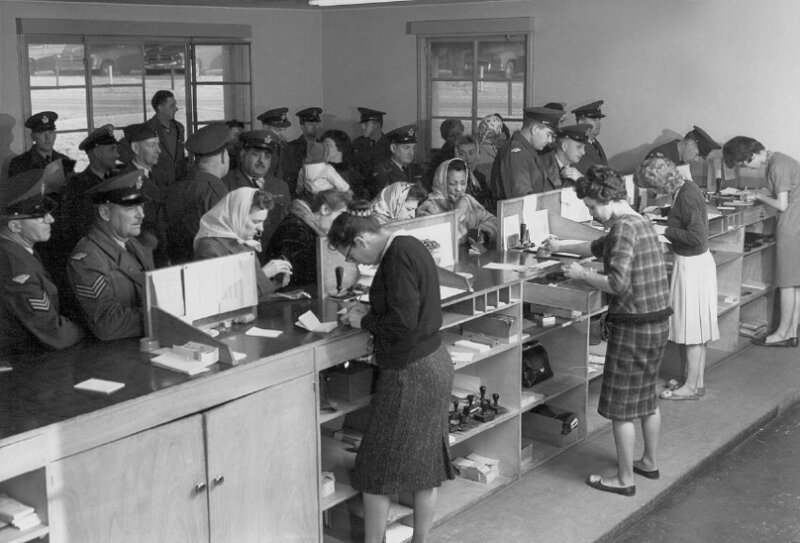 A typical payday in the Bank of Montreal - April 1961. Tellers (L-R) - Joan Jordan, unknown, June Hebron, Janice Adkins. Presentation of Inter-Section hockey trophy - March 1960. 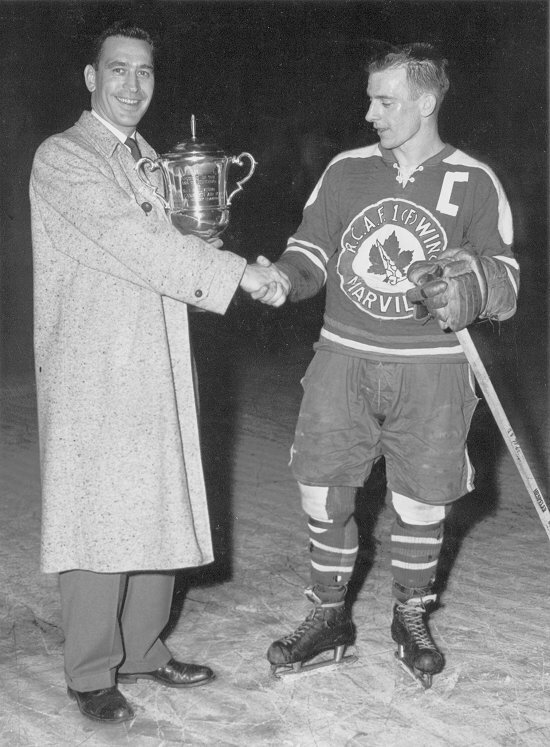 Pat Lalonde (Manager of the Bank of Montreal) presents Bud MacKinnon (Captain of the Headquarters hockey team) with the Inter-Section hockey trophy.